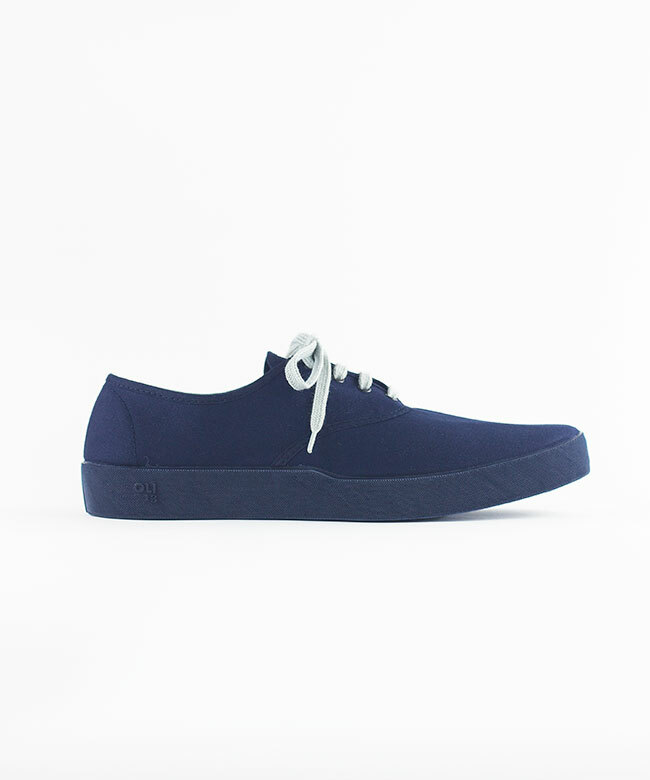 Oxford Navy Blue Blue from Oli13. 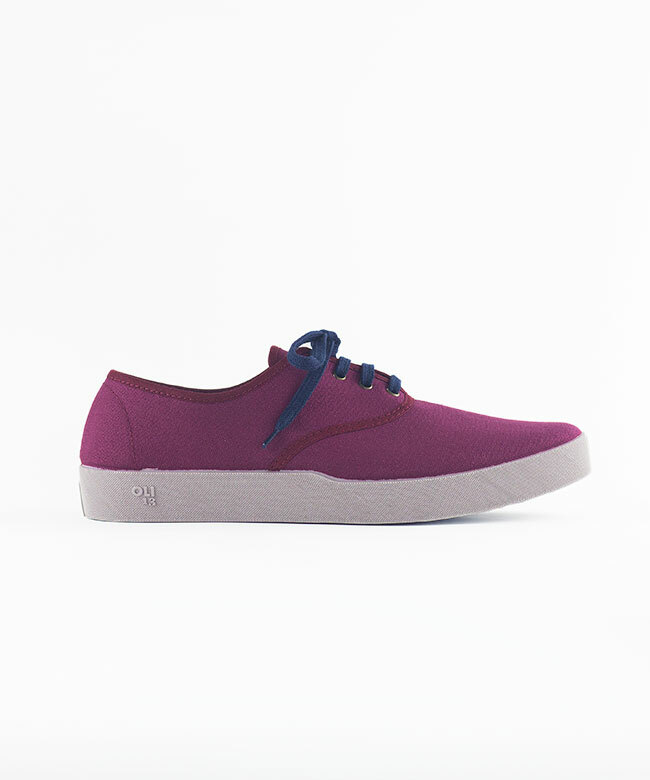 Made in Spain sneaker. 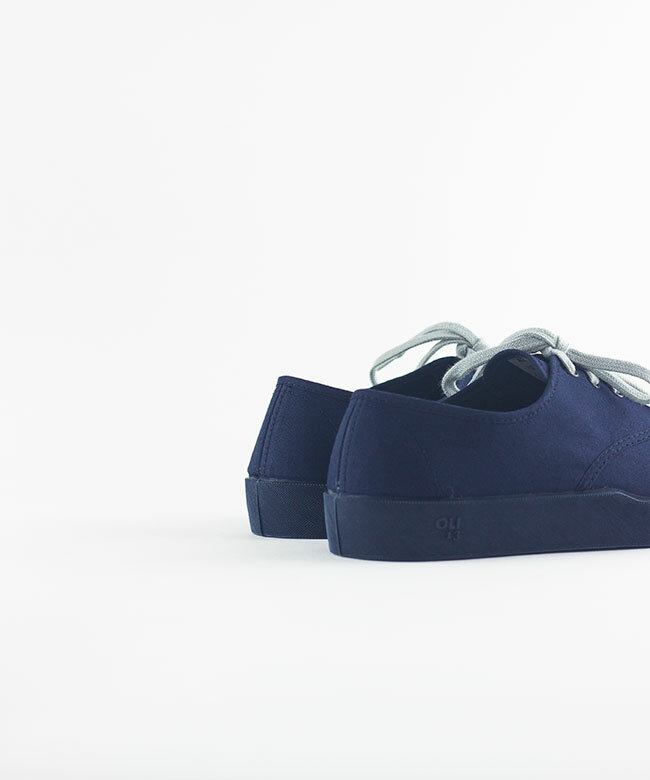 The Oli13 shoes are entirely handmade in Spain and designed in Barcelona. All of our models are made with high quality and environmentally-friendly materials, canvas 100% cotton “made in green” and natural rubber. 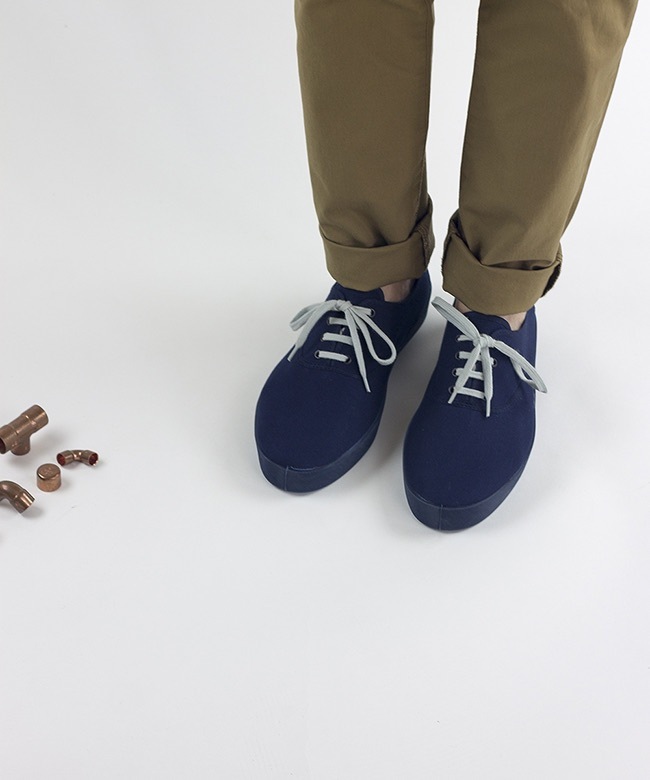 Since our very first shoe, the EE1929, we have been working our own lasts and molds to achieve a harmonious and stylized silhoutte with a very comfortable fit. We manufacture keeping expert crafting and tradition alive but also looking to the future. The double height and the subtle curve of our soles, unique features of our shoes, represent this movement and forward vision. 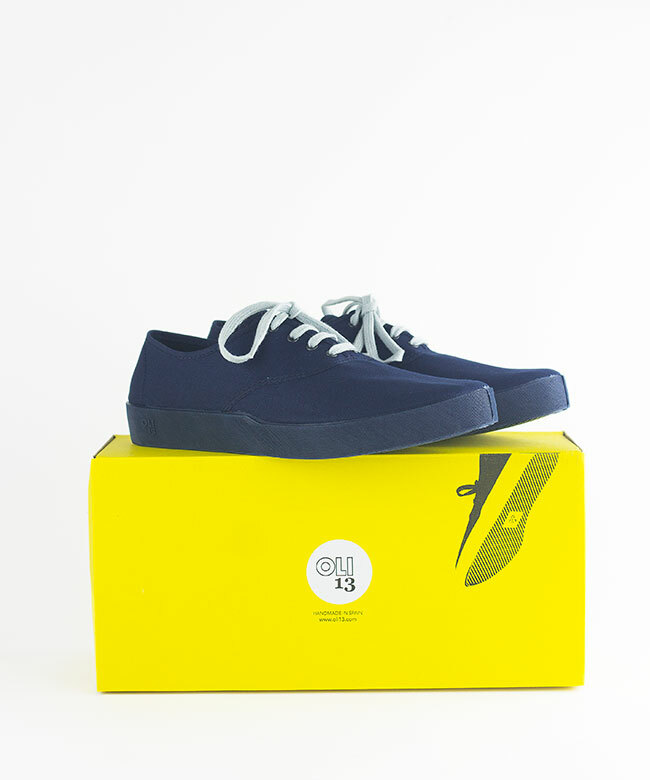 The Oli13 manufacturing process is the artisanal vulcanizing that gives to the natural rubber of the sole its elasticity and flexibility and, as a result, our shoes are extremely light and comfortable. 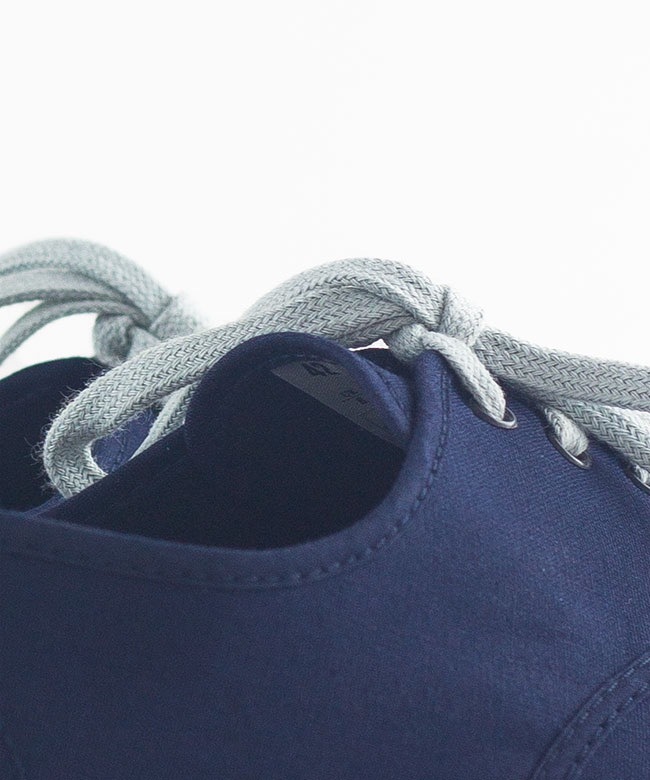 · Upper: canvas, 100% cotton. 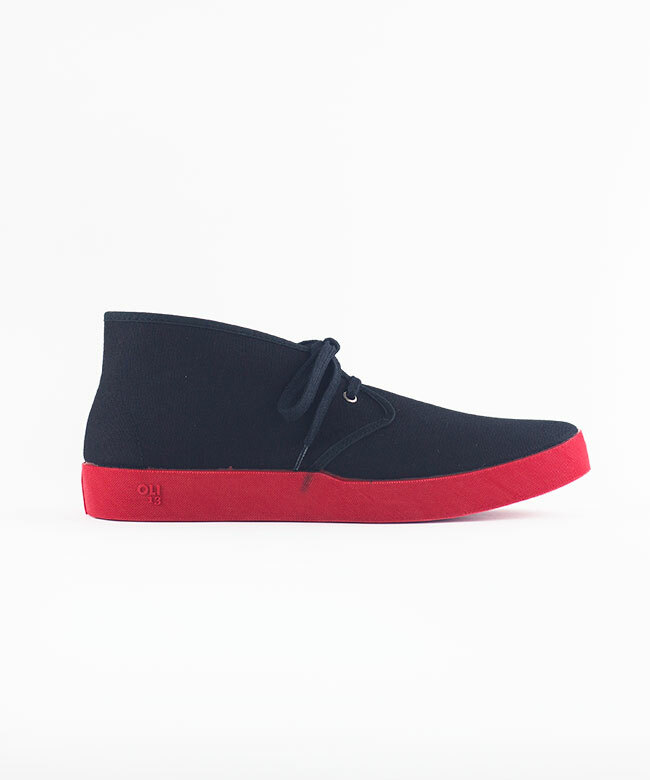 The Oli13 shoes are handmade and vulcanized and any irregularity that could appear is due to the handmade process. UPS Worldwide delivery, Spain FREE shipping.